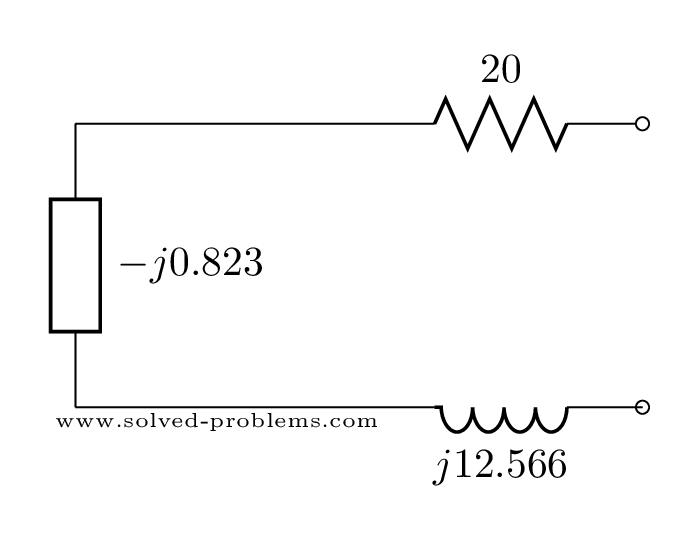 Note how capacitor acts in this frequency. The value of impedance is less than . Compare this value to values of other components. It is almost equivalent to a short circuit! One interesting point here is that unlike pure resistive circuits where the equivalent resistance of parallel elements is always less than the resistance of each element, the value of the equivalent impedance of parallel elements can be greater than the value of the impedance of elements. 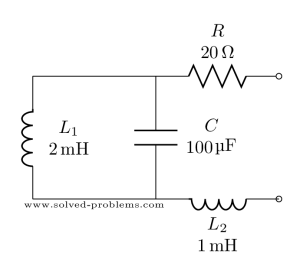 Here the capacitor impedance value is but the equivalent impedance, , is higher. 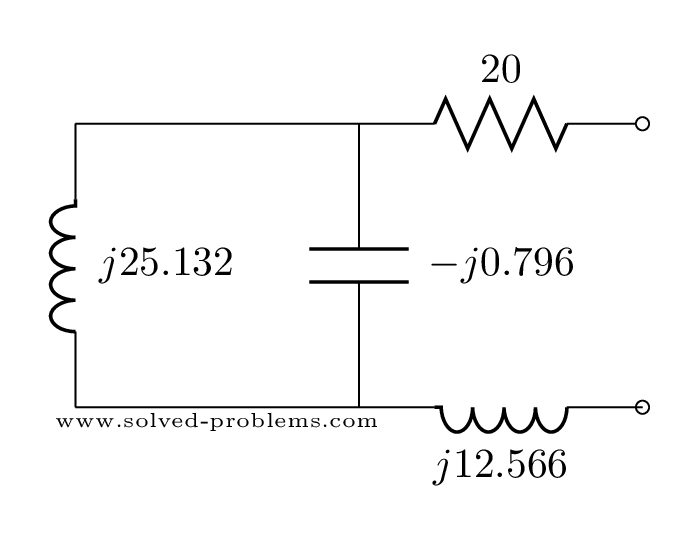 Now, determine the impedance at Hz and kHz and share it with others below in comments section. The final answer will be 20+j12.52 = 23.6 with angle of 32.05. In solving for the impedance of the Capacitor, you use .0001 as the value for 1000uF. The question asks for a 1000 µF (1 mF) capacitor, but the solution is made with a 100 µF (0.1 mF) capacitor. Thank you for reminding. It is fixed now.